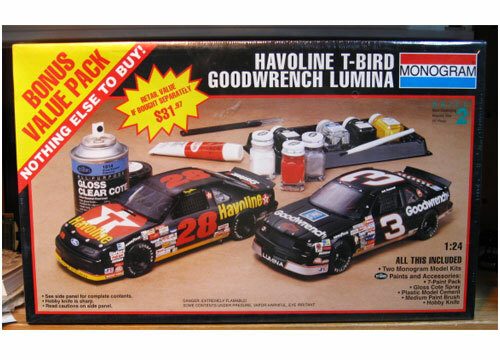 Monogram Havoline Goodwrench Combo kit featuring Davey Allison's #28 Havoline Thunderbird and Dale Earnhardt's #3 Goodwrench Lumina. Issued in 1992. Kit is Factory Sealed and in excellent condition.